Maximizing ROI through actionable insights. With the pressure to continually prove ROI on marketing spend, marketers are tasked with wading through immense amounts of data to understand what worked in the past and how to optimize for the future. It is no longer enough to just answer what happened. Our role is to uncover the "whys" so we can confidently and predictably improve our clients’ future performance. This kind of intelligence is made possible when combining cutting edge marketing and data sciences with traditional performance analytics. Our analytics team is comprised of storytellers, detectives, and activists, tasked with surfacing the most relevant and important stories told by the numbers, creating actionable insights that give brands the competitive edge. Every effort begins with an assessment of the challenge to ensure that the agency and key stakeholders are aligned with regards to objectives and definitions of program success. Our team audits the technical infrastructure and available data to establish a foundation for the design phase. Every effort has a customized solution that aligns with our clients’ business objectives. Based on what we learn in the Discovery phase, our team will leverage our deep bench of talent to develop an analytics roadmap that begins with data collection and aggregation to the development of actionable insights. The roadmap often includes multiple analytics approaches from across all four of our service categories (performance analytics, marketing sciences, research, and business intelligence). The rubber hits the road after finalizing the solution design. We aggregate data from multiple sources to create an integrated dataset for analysis. Our team of data analysts, statisticians, and social scientists work together to rigorously apply the appropriate analytics methodologies and generate value from seemingly disparate data points, even with imperfect data. We don’t toss data over the wall to our clients. That’s not value. Value is defined as actionable insights that align with business objectives to move our clients’ business. We define success as delivering recommended actions to optimize campaigns and outputs that can be interpreted by any marketer. Better understand a toy shopper’s browsing habits and general browsing and specific toy research. Identify and quantify the impact of site engagements that correlate with conversion events. Quantify the impact digital channels have on conversion events and POS. In response to Hasbro’s request AMP analyzed the business questions and recommend the following solutions to address the goals Hasbro has defined. Path-to-Purchase Analysis: Analysis of third party data which tracks visitor activity across digital touchpoints on the web. 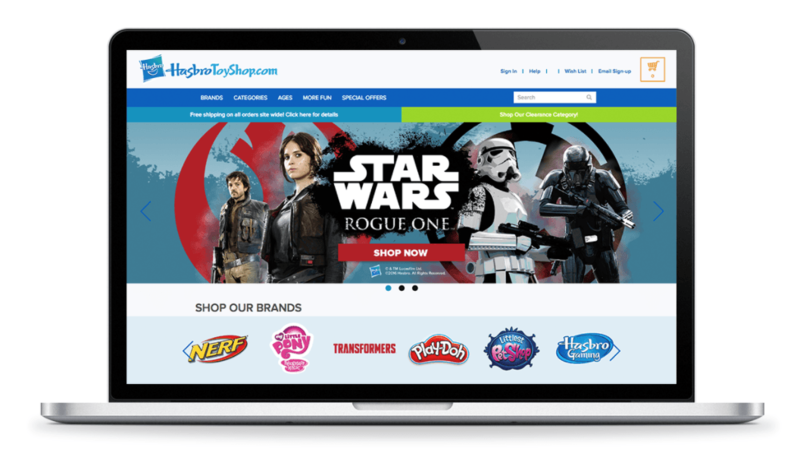 High Value Behavior Analysis: Statistical modeling of website data captured via Adobe Analytics, to qualify and quantify the relationship of specific content on Hasbro websites to desired actions. Channel Attribution Analysis: Econometric models were developed to bridge the gap between investment and conversion events on e-tail partner sites and in-store. Virtue Labs approached us to help build a new direct to consumer beauty brand. They had an amazing product, but needed assistance bringing it to market. This included package design, identification of their audience segments, development of a media strategy to build awareness and demand for their products, development of a consumer e-commerce website, and creation of a CRM strategy. Financial models were developed to support fundraising rounds. Primary research, including both surveys and focus groups, was used to flesh out audience segment profiles and package designs. A comprehensive digital analytics strategy was developed, including platform selection and implementation. Integrated reports were developed to monitor performance of the soft and hard brand launches. Outcome: Virtue Lab’s brand launch was supported by a strong backbone of data and insights. They understood their audience segments and how, when, and where to reach them. Efficient media strategies were developed with clear definitions of success against which to measure. All stakeholders had easy access to KPIs delivered in custom formats designed to fuel actions and socialize information across the organization.